I am an Exercise & Wellness Coordinator, Personal Trainer, Group Fitness Instructor, wanna-be yogi, former powerlifter, and aspiring cook. I love to sweat, eat healthy and help others to do the same. One of my goal is to help clients find ways to make their workouts more enjoyable. For some, group exercise may be their "thing," for others it may be running by themselves. Not every workout is a party, but for long term success I believe we need to find some enjoyment in our activities to keep us motivated. Keep in mind our long term goal is HEALTH; let's find healthy exercise and eating patterns that work for you and stick with it! There are so many fitness, health, and wellness guru's out there and all of us come from different backgrounds and life experiences. I'm frequently asked where my education came from and how best to pursue a career in health/fitness. I teach Group Exercise and Yoga, and I'm a self employed Personal Trainer and Health Coach. I took a round 'bout way to get here but I wouldn't change it if I could! I graduated from CSUS with a BA in Govt, but I've always loved health, exercise, cooking and helping others. I've gained the education I needed to pursue my passion through organized education, multiple certifications and continuous self study (still chipping away at becoming a Registered Dietitian). I finished my Master's in Exercise Science and Health Promotion at CALU in December 2015. NASM offers several exams in health and fitness. The CPT exam was part of the curriculum in my masters program at CALU. I'd highly recommend the NASM-CPT exam for new trainers and/or trainers seeking to work with special populations. Of the three, ACE, NASM, and NSCA I found the the special population considerations to be most in depth in the NASM text. I'm an American Council om Exercise Certified Personal Trainer (ACE-CPT) and Group Fitness Instructor (ACE-GFI). ACE provides a great foundation for personal trainers and Group Fitness Instructors to build upon. 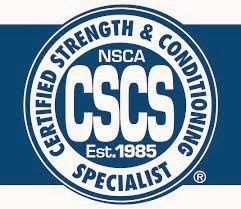 I'm a NSCA Certified Strength and Conditioning Specialist. In my opinion NSCA is one of the best certifying bodies out there for personal training and strength/conditioning education. You learn more about CSCS qualifications here. I was the Fitness Business and Postural Analysis instructor at the National Personal Training Institute (NPTI) in Sacramento. Prior to teaching there I completed the 500 hr program as well. To find out more about the school click here and to learn more about their location click here. I completed the Integrative Nutrition Program and have nothing but great things to say. The curriculum helped me become more well rounded in my education and provided me with great resources for my clients. Integrative Nutrition’s comprehensive curriculum covers over 100 dietary theories and combines counseling techniques with real-world business training. Its unique nutrition philosophy takes a holistic approach to wellness and encourages students to consider relationships, work, exercise, and spirituality as essential to building good health. Click HERE to get the course catalog and more info! Ask me before you enroll! 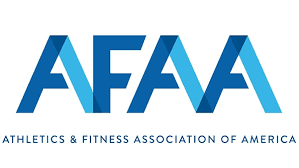 I'm currently earning my Pilates Certificate with AFAA. thanks for checking out my blog :) and like you said, we are SO much alike. i love love loveee how you said we are mammals and are meant to eat plants and animals. so true! i love the passion that you have for what you do :) can't wait to read more! What an amazing lady! So happy to know you and learn from you. Thanks! Thank you for the lovely compliment and thank you for being so wonderful to train! You're motivated and willing to work hard and that makes my job very fun and rewarding! This course equips an individual to understand the concepts of and Nutritionist, Dietetics. Become a renowned Dietitian/Nutritionist and excel your career.